Invisafil 100w 2 ply soft polyester thread can be ironed. Invisafil Thread's matte finish disappears into fabric and is non-abrasive. 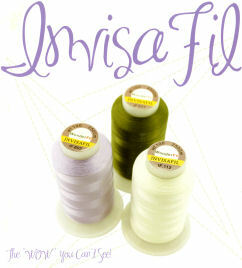 Invisafil thread is perfect for quilt stitch and top stitch, and eliminates problems inherent to nylon invisible thread.